Betting, Gaming and Lotteries Commission (BGLC) and Supreme Ventures Limited (SVL), sponsors and promoters of Jamaica’s most prestigious racing event — the Diamond Mile — have announced a Diamond Mile Scholarship valued at $500,000 to aid the development of race-riding at Caymanas Park. Vitus Evans, BGLC’s executive director, made the announcement at a press conference to officially launch the fourth staging of the event’s Race Day scheduled for December 1 at Caymanas Park. The scholarship is for a licensed exercise rider who seeks to take his or her career to the next level at the Jamaica Racing Commission’s (JRC) Jockeys’ Training School. “Our expectation is that this scholarship will assist the individual who will embark on a career as a jockey that embodies the qualities of distinction and excellence that are consistent with the Diamond Mile,” Evans said. Evans also announced a new addition, the Diamond Mile Award of Excellence, which went to Karl Angell, executive editor — operations — at the Jamaica Observer, for his stellar contribution to the racing industry. Meanwhile, according to the organisers, this year’s Diamond Mile Race Day promises to be a bigger and better showpiece. The feature race on the day will be the fourth staging of the Diamond Mile, a Grade One event for three-year-olds and upward going over a mile (1,600m) for a whopping purse of US$115,000 (over $14 million). The remaining races on the programme will have purses of $1 million and over, which makes the race day the richest in the English-speaking Caribbean. 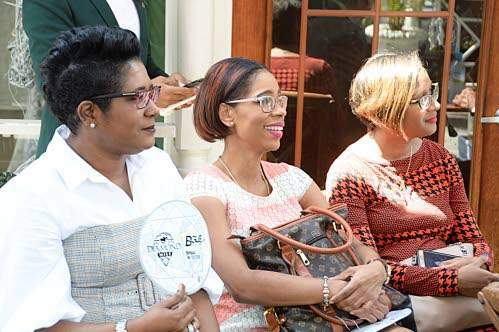 “The Diamond Mile continues to fulfil its aim to be a boost for the horse racing sector by increasing industry revenue and contribution to the Jamaican economy, by improving competitiveness in the sport, and being an exciting entertainment product that is appealing to all segments of society,” noted Evans. Peter Green, director of marketing at Supreme Ventures, Racing and Entertainment Limited (SVREL), gave his company’s continued commitment to the Diamond Mile. “The Diamond Mile stands as a true testimony towards [what] quality horse racing and entertainment can be when perfectly fused. In creating this event, the BGLC vision was clear and the result and reality is a one-of-a-kind event that is the most prestigious on the racing calendar. The SVL group is more committed than ever to collaborate with the BGLC to make this event unforgettable. “It is our opportunity to demonstrate the boundless duty and protector of Caymanas Park. As sponsors of the event, since the first staging, we are proud to see the event grow. Today we renew our sponsorship of the 2018 staging of the Diamond Mile to the tune of $5 million. We know at first hand the importance of sponsors and sponsorship and as such commend our fellow sponsors for believing in the diamond and playing your part in a system in its growth,” Green said. Sponsors for the 2018 Diamond Mile include BGLC, SVL, SVREL, JRC, Main Event Entertainment Group, Jamaica Observer, Tru Juice, Rum Fire and broadcast media channels, TVJ, TVJSN, RJR 94 FM, HITZ 92FM and Power 106FM.